I’m excited to share my mom’s Cranberry Sauce Smoothie Recipe with you today, and a review of the Ninja Master Prep Pro System. I partnered with Ninja to bring you this recipe. When Baby M came along, life was busier and I knew I wouldn’t have whole days to spend puréeing. I wanted a small blender or processor so I could easily blend little bits of food here and there as I was cooking for the rest of us. I headed for Target with a small blender in mind. What I found was the Ninja Master Prep Pro System. I don’t know if you’ve seen this set before. It’s unlike other blenders because the motor sits on the lid. And not just on the lid of one blending bowl. It comes with three blending bowls in different sizes, all of which allow the motor to pop onto their lids. It’s like getting three blenders for the price of one. When it came to baby-food-making, I loved it because even if one of the bowls was in the dishwasher from puréeing peas last night, there was another bowl ready to go for today’s carrots. Also, I could choose the right sized bowl for the job. If I had a small amount of carrots, I could use the small bowl and not be stuck cleaning a big machine. My mom also has the Ninja Master Prep Pro System. I asked her what she likes best about it. She also likes the three sizes and that she doesn’t have to pull out a big bulky blender if she only has a small job to do. And, she likes that each of the three bowls has its own lid so if there is smoothie or other puréed food leftover she can leave it in the bowl, add the lid and put it in the fridge. The bowls therefore function as storage containers too. If she needs to blend something else later, she has the other two bowls that can be used. Finally, my mom loves the power of this blender system. She, like me, has found that it really whips everything up and does a much better job than the previous blenders she’s had. We think this is because the blades in the Ninja blender system go all the way down the bowl, from top to bottom. These blades can grab the food at all levels of the bowl and really cut it up. My mom uses her Ninja Master Prep Pro System for a variety of tasks. But one thing she uses it for often is to make smoothies for my nephew. This is one of my mom’s smoothie recipe. It uses leftover cranberry sauce that she’s frozen in an ice cube tray. 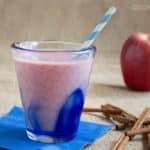 To make the smoothie, she takes out some cubes of frozen sauce, adds a few other ingredients and blends away. 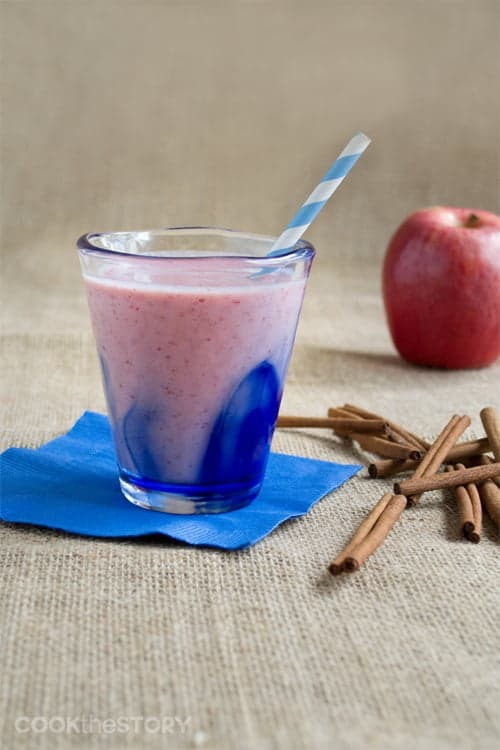 This smoothie is a delicious way to use up leftover cranberry sauce. My mom uses the cranberry sauce recipe from Two Peas and their Pod and then freezes the leftovers to make this smoothie. I’ve tested the recipe with store-bought canned cranberry sauce and it works as well. Whatever kind of cranberry sauce you have at Thanksgiving, do not (and I repeat, do not) throw away the leftovers. 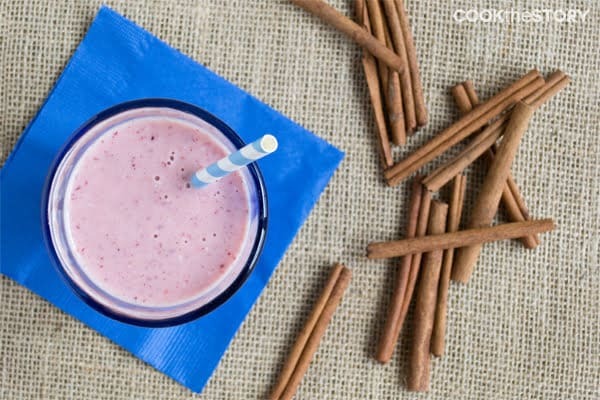 Freeze them and use them in this delicious smoothie recipe. Or, check out these other ideas for what to do with leftover cranberry sauce. 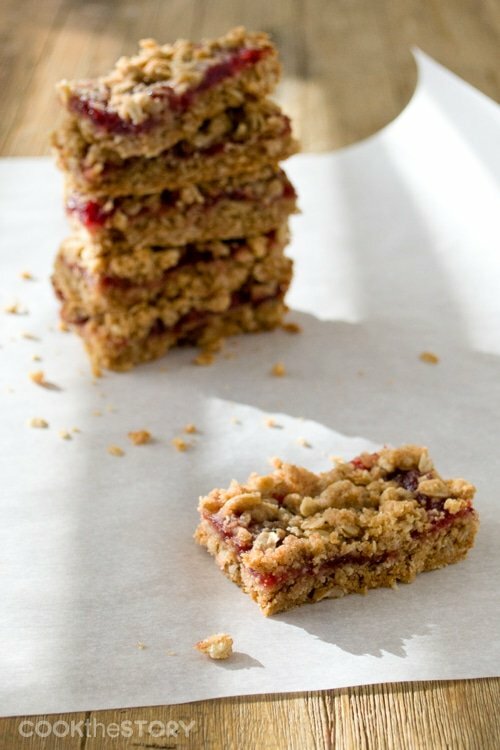 My favorite is this recipe for cranberry oatmeal bars. I hope you enjoy this cranberry sauce smoothie recipe! Put all ingredients into a powerful blender or food processor. Blend until smooth. Do you have a Ninja Master Prep Pro System? I’d love to hear what you think of it. Scroll down and let me know in the comment section below. Disclosure: Ninja has provided me with a Ninja Master Prep Pro System in exchange for this review. I was already very familiar with the system from when I was making baby food for M. But I accidentally dropped and broke the motor from that set. It was great to get a replacement. All opinions are my own. When J was tiny, I made his baby food in a big food processor. I would spend a whole day steaming and puréeing batches of fruits and vegetables for the freezer.